Seasoned program and project manager, dynamic trainer and speaker, and passionate advocate for equity and inclusion. Yin Brown has been an advocate for equal access and opportunities for persons with disabilities since 2009 when she returned to Toronto from teaching abroad. Yin is the Project Coordinator for DisAbled women’s Network (DAWN) Canada in Toronto. Previously, Yin has worked at CNIB as the Manager, Advocacy for Ontario, and at CBM Canada as the Advocacy Coordinator. 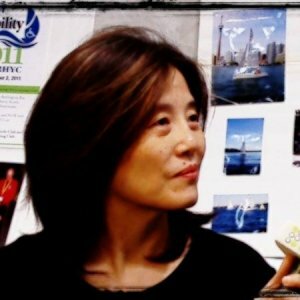 Yin has also been serving on the Board of Directors at Ontario Council for International Cooperation (OCIC) since 2011. She is also currently the Toronto Chapter President of Alliance for Equality of Blind Canadians and the Co-Chair of City of Toronto’s Accessibility Advisory Committee. Yin frequently speaks on the intersectionality of disability and other minority and vulnerable groups, showing disability as a prevalent condition compounded by environmental, systemic and attitudinal barriers. Customize programs to reach organizational objectives.